Posted by M Bharath Bhushan in Andhra, Andhrapreneurship, Bhadrachalam, BJP, Congress, Hyderabad, MIM, Polavaram, Rayalaseema, regionalism, TDP, Telangana, TRS. The Group of Ministers (GoM) looking into issues related to Andhra Pradesh bifurcation has completed consultations with all stakeholders and is expected to submit a report to the Union Cabinet as early as possible. On Monday, it heard the Union Ministers representing all the three regions of the State and Chief Minister N. Kiran Kumar Reddy. The GoM has been mandated to look into a whole range of complex issues including determination of the boundaries of State of Telangana and the residuary State of Andhra Pradesh with reference to the electoral constituencies, judicial and statutory bodies, and other administrative units. Posted by M Bharath Bhushan in Andhra, Hyderabad, Identity, MIM, Mulki, Rayalaseema, regionalism, Settler, Telangana, Telugu. Hyderabad: The demand for setting up Rayala-Telangana received a sudden and unexpected momentum on Wednesday with several leaders independently pitching for it. Addressing a press conference here, MIM president and Hyderabad MP Asaduddin Owaisi said it was his party’s ‘firm opinion’ that Kurnool and Anantapur districts should be added to the inevitable Telangana state ‘in the interest of justice.’ “This will resolve the water-sharing disputes between the two states in addition to giving the Seemandhra and Telangana regions an equitable representation of 21 seats each in the Lok Sabha and nine seats each in the Rajya Sabha,” Owaisi said. 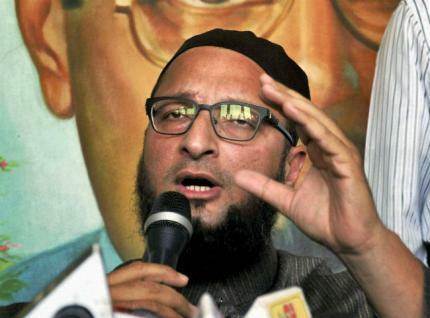 The MIM has already sent a memorandum to this effect to the Group of Ministers on Telangana, he said. Posted by M Bharath Bhushan in Hyderabad, Identity, MIM, Mulki, politics, regionalism, Settler, Telangana. IANS Hyderabad, Nov 6: The Majlis-e-Ittehadul Muslimeen (MIM) has demanded the formation of a Greater Telangana state by clubbing two districts of Rayalaseema with the proposed state and Hyderabad as its unconditional capital. The party has urged the Group of Ministers (GoM) constituted by the centre over bifurcation of Andhra Pradesh, to form separate Greater Telangana state comprising 10 districts of Telangana and Anantapur and Kunrool districts of Rayalaseema. 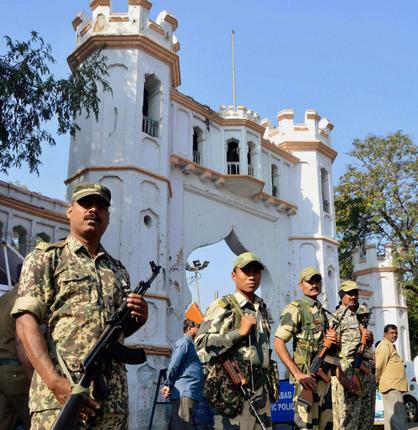 Ruling out any compromise on Hyderabad as the capital of the new state, MIM chief Asaduddin Owaisi also opposed the proposal for central control over law and order and other matters in Hyderabad. Posted by M Bharath Bhushan in elections, MIM, Mulki, Muslim. After snapping ties with the Congress both in New Delhi and in Andhra Pradesh, the Majlis-e-Ittehadul Muslimeen (MIM) is now looking to grow beyond its traditional stronghold in Hyderabad. 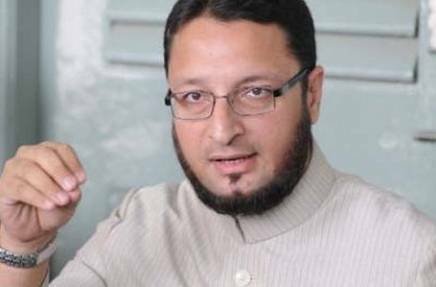 With 18 months left for the elections (if the Congress government survives any no-confidence motion), the MIM is gearing up to widen its base in Telangana and Rayalaseema regions having sizeable Muslim population. Political analysts say as Congress is facing a huge task of winning the third straight election in the absence of a charismatic leader like Y.S. Rajasekhara Reddy, the MIM decided to leave the sinking ship.